Ministry of Defence and Reliance group were quick to issue rebuttals on the allegations saying connections drawn between the tax issue and the Rafale matter are inaccurate. New Delhi: Rejecting French newspaper Le Monde’s report that France waived off taxes worth €143.7 million in favour of a French registered telecom subsidiary of Anil Ambani’s telecom firm Reliance Industries Limited after the announcement of the Rafale jet deal in 2015, the ministry of defence said that any connections drawn between the tax exemption to a private company and the Rafale aircraft deal are totally inaccurate, tendentious and a mischievous attempt to disinform. 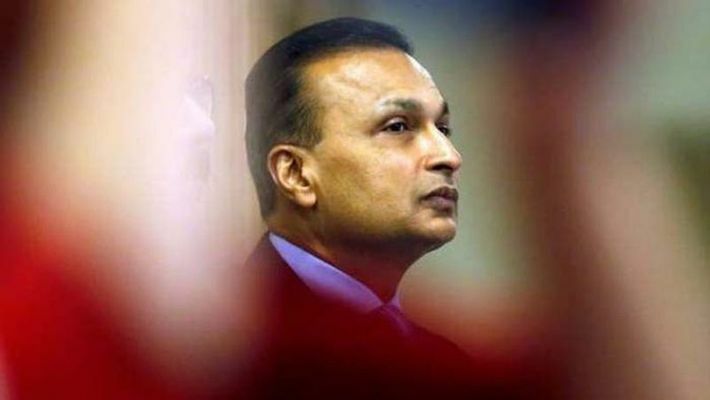 In a statement issued the Reliance Communications clarified that the tax issue of its subsidiary Reliance FLAG Atlantic France SAS pertained to the year 2008 and had been settled as per the local laws, much before the Indian government decided to purchase Rafale jets from French company Dassault. Responding to the French report, the Defence Ministry said, "We have seen reports drawing a conjectural connection between tax exemption to a private company and procurement of Rafale fighter jets by Government of India. Neither the period of the tax concession nor the subject matter of the concession relates even remotely to the Rafale procurement concluded during the tenure of the present Government. Any connections drawn between the tax issue and the Rafale matter is inaccurate, tendentious and is a mischievous attempt to disinform." Making the report their base, the Congress accused Anil Ambani's Reliance of getting a special benefit from the French government in the form of the tax settlement days after the Rafale fighter jet deal was signed. Le Monde said the company was investigated by French tax authorities and found liable to pay €60 million euros in taxes for the period 2007 to 2010. However, Reliance offered to pay €7.6 million only as a settlement, but French tax authorities refused to accept the amount. The authorities conducted another probe for the period 2010 to 2012 and asked the company to pay an additional €91 million in taxes, the report said. It said by April 2015, the total amount owed by Reliance to the French authorities in taxes was at least €151 million. In October, six months after Prime Minister Modi announced in Paris about the Rafale deal; French authorities accepted €7.3 million euros from Reliance as a settlement against the original demand of €151 million. Responding to allegations, Reliance Communications released a statement denying any "favouritism or gain" from French authorities. The tax demands were completely "unsustainable and illegal" the statement said, and claimed that tax disputes were settled "as per legal framework in France available to all companies operating in France." Reliance Communications said that between 2008 and 2012, Reliance Flag had an operating loss of Rs 20 crore (€2.7 million) while the French tax authorities had raised a tax demand of over Rs 1,100 crore for the same period. "A mutual settlement agreement was signed to pay Rs 56 crore as a final settlement," it said. BJP making mistake of not taking the Rahul Gandhi challenge seriously?